January 9, 2018, Denver, CO – ICC: Innovate. Coach. Consult. 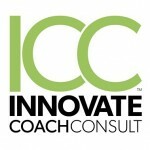 Susan Ruhl, Co-Founder and CFO of ICC: Innovate. Coach. Consult. has been selected to speak at Denver’s largest human resources event: the 15th Annual Mile High Society for Human Resource Management (MHSHRM) Conference. Susan is one of more than 20 coveted speakers expected to challenge and inspire those who have a deeply rooted passion for HR and advancing the industry. The conference will take place at the Denver Tech Center, on Friday, January 19th. Susan will deliver her presentation on Driving Development in the Age of the Modern Learner, a topic that includes a discussion on the 7 Pillars of Reinforcement — an experiment-based approach to employee learning and development. She will be speaking in the Evergreen A Conference Room at 7am. “In this age of the modern learner it is becoming increasingly difficult to get the ROI on leadership development. As fast as we teach, the distractions of today are causing people to forget up to 90% of what they learn” adds Susan. International speaker Galen Emanuele has been chosen as this year’s distinguished keynote presenter. After working with multiple Fortune 500 companies across the globe in reshaping and transforming the way people interact and communicate in business, the topic of his session is Creating a “Yes, And” Culture of High-Level Performance and Engagement. Galen will speak in Evergreen A-C conference rooms beginning at 8:15am.